To celebrate the beginning of a new year of Groove Therapy classes and the launch of our Online Dance Classes, we thought we’d share our three favourite moves with you for those who want to learn in the privacy of their bedrooms. Why don’t we dance more? There’s no denying that social situations can be pretty awkward at the best of times so it’s no surprise that adding dancing to the whole thing is an anxiety trigger for many. Here’s to changing the social norms (back) and making the natural act of socialising with other humans…natural again. Let’s save our dance floors. Unfortunately we don’t have any tips on how to say cool things to the cute human being you’ve been eyeing off across the room. We’re useless with words, we talk with our bodies. We can however vouch for having good dance floor skills and immediately scoring street cred. So this ones for all you bedroom groovers out there who want to up their dance vocabulary with some fa-resh moves. Pump your favourite track, chuck on something comfy and gives these a go. 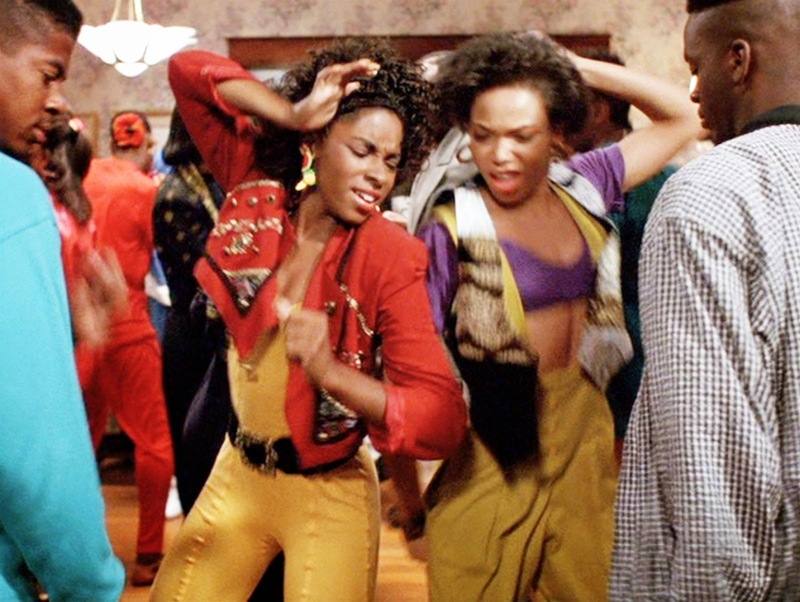 This is our Groove Therapy approved guide to 3 basic dance moves to practice in your bedroom. Ps. Yes, pants are optional…given you’re not reading this in public. This is one of the first things we normally teach you in class. From a physical perspective, it has you understanding and feeling every part of your body. From a street cred perspective, this one move can be your entire dance vocab for the night if you know how to do it right. The way we break it down in class is this: you’re isolating different parts of your body. Starting by lifting your chin, then working your way down your chest, stomach, hips and ending the flow by sitting into your hips. A body roll pairs great with practically every song on the planet but we here at Groove Therapy highly recommend this one for any slow jams that come up in your playlist. Once you get your body roll down pat, this move is the gateway to a world of other moves and styles. For example, the underlying groove in House is called a ‘jack’ and breaks down similarly to a body roll. House is a style of dance born from the late 70s and early 80s from underground clubs in Chicago and New York. The style is an amalgamation of a bunch of other street styles including Tap, Afro styles, Latin dance and martial arts. If you’re not sure what House looks like, check this babe Sarah Bidaw, KILLING it. Tips from the Groove Therapy fam: keep your knees bent otherwise you can start to look like Mr. Bean… and we can’t have you representing Groove Therapy like that. Want to learn in more detail? You can learn all the nuances of the Body Roll in our Beginner Grooves Online Course. This basic move might be simple but it’s definitely a banger. The wave is a fundamental move in one of the more OG styles of Hip Hop called Popping. Popping was created in the 60s by dancers who were inspired by watching movies with robots. It explains all the isolating, right? Similar to the body roll, this move is all about isolating different parts of your body. Start with your arms out and think about one body part at a time. Starting with your hand, moving to your wrist, elbow shoulder chest and doing the reverse down the other arm. Wanna fuq with this style even more? If you combine waving with body rolls, you’re ready to take on an even more nichè style of popping called Liquid. Liquiding calls for dancers to mimic the ways in which water moves and giving the illusion that you’re actually a human wave that has no bones. Tips from the Groove Therapy fam: If the isolating stuff is cooking your brain, imagine theres a ball of energy flowing through each body part instead. Want a more comprehensive lesson? Head over to our Party Dances Online Dance Course to check out a detailed tutorial. If you’re thinking about this move that went viral thanks to the Running Man Challenge, then think again. The O.G Running Man, or the Hungry Caterpillar, was originally an African dance. The move was created in the late 80s but was made famous in the 90s by Janet Jackson who used the move in the music video for her hit ‘Rhythm Nation’ and subsequently on the Rhythm Nation World Tour. You’d also probably recognise this move being busted out by the likes of Mc Hammer, Bobby Brown and Vanilla Ice during their lives shows and music videos too. Tips from the Groove Therapy fam: If the arms are too much, drop them for now. The legs are the focus with this one, so nail them first. Once you start to feel it, add the arms back in. Want a more detailed outline of the running man along with a bunch of fun variations? Check out our Party Dances Online Course and learn this move and so many more! Everything aside, dancing is just dancing. Maybe you just tried the running man and tripped over yourself. Be a professional dancer and strike a pose and act like that was part of the routine. Done. The best dancers are the ones who just don’t seem to give a f***. The ones you can’t take your eyes off because they’re just feeling themselves. The truth is, the art of being a great dancer isn’t about how cool your moves are. It actually comes down to your ability to get out of your head and into your body. What we’re trying to say is: practice these simple moves, make them feel good to you and then just f*** around with it! We know, trying to explain dance moves via text is pretty damn weird. Need more explaining? Come to class! We teach all these moves and more across our classes in Sydney, Brisbane and Melbourne. Don’t live in any of these cities? No stress – we’ve also got online classes!